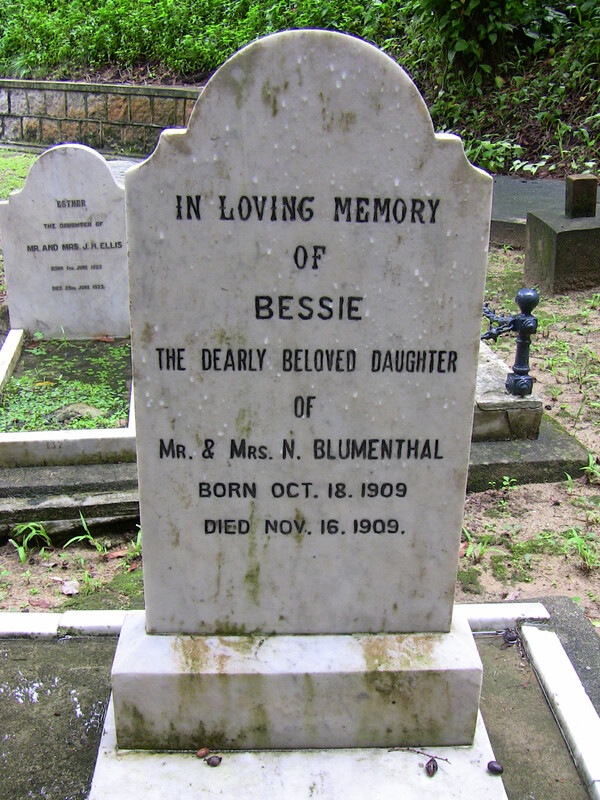 Inscription (Eng) IN LOVING MEMORY OF BESSIE THE DEARLY BELOVED DAUGHTER OF MR. & MRS. N. BLUMENTHAL BORN OCT. 18, 1909 DIED NOV. 16, 1909. Historical According to a birth notice in the Hong Kong Telegraph (October 19, 1909), she was born at 9:15 pm at College Chambers. It was located at 9 Seymour Terrace. A sister, Goldina Blumenthal (4A4), born one year after she died, also died six months later. 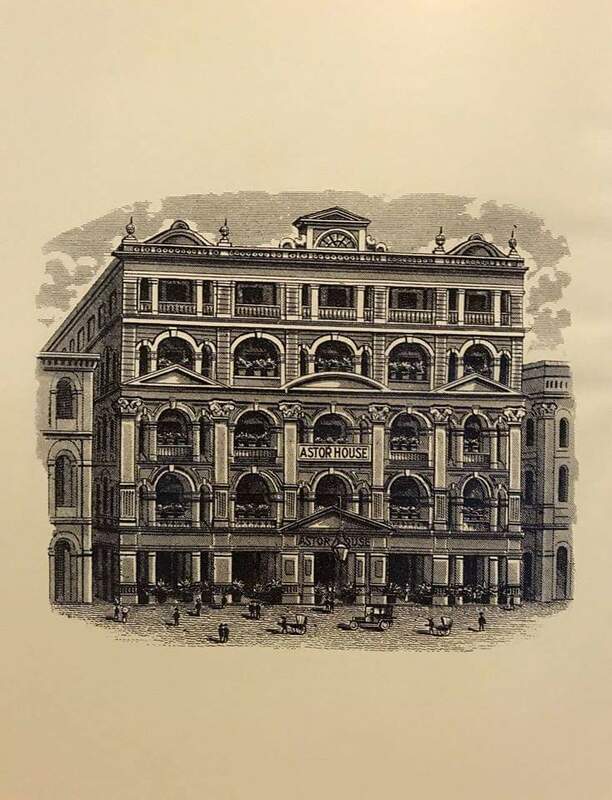 Nathan Blumenthal was the manager of the Astor House Hotel at 13 Queen’s Road Central. 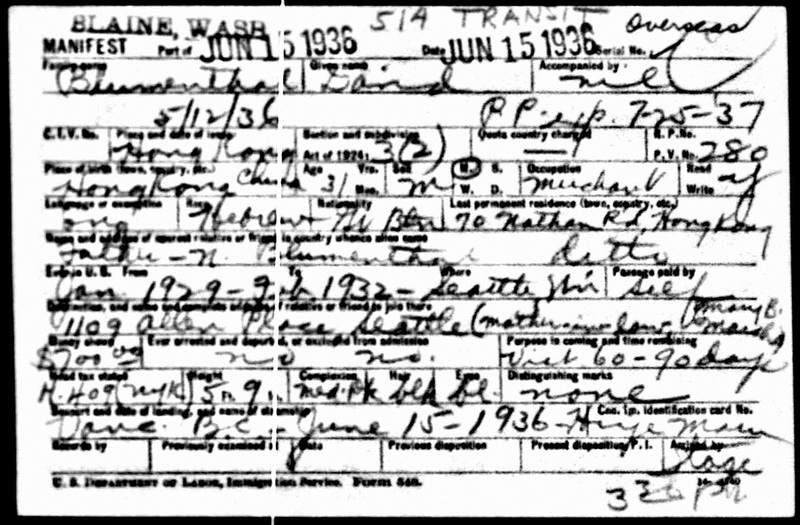 The Blumenthals had four more children — David (b. June 14, 1905; d. ? ), Leon (b. 1916; d. 1991), Cecilia (b. ? ; d. ?) and Billie (b. 1914; d?). 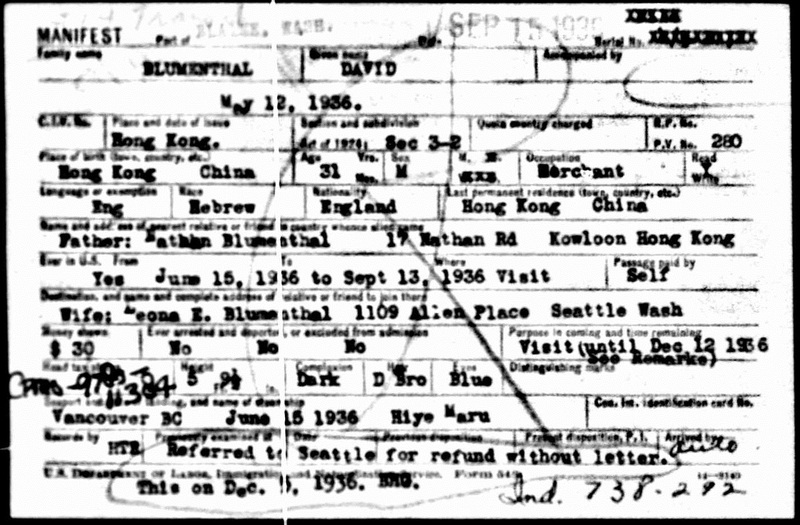 David married American Leona Elizabeth March Rees in Hong Kong on January 9, 1934. In 1936, he owned the Marcel Bakery and Confectionery, 70 Nathan Road, Kowloon. Leon Blumenthal joined the the Prisons Department on 15 Aug 1935 and retired in 1965 from the post of Senior Superintendent (which was the next highest rank under the charge of Commissioner at that time) to Australia. Cecilia married Hywel Owen Davies (son of the late Captain & Mrs. Edward John Davies of Caerphilly, South Wales) on March 14, 1933. Their mother had already passed away by that time. Billie married Arthur Boyd Henry in St. John’s Cathedral on October 17, 1935. She was a teacher and he was a journalist.